anyways hello again feralfront! for those who don’t know - i’m tempest, a recurring member of feralfront! i used to prominently roleplay here around 2016-2017, mainly in extended riverclan which i was even the leader for for a while! your user looks rlly familiar, who did you roleplay? Oh my gosh tempy, welcome back! 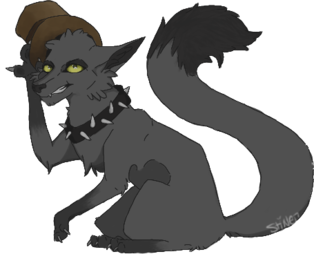 Happeh ive roleplayed quote a few characters in my time here but my most prominent one would have to be arcanepaw c.! Who did you play in riverclan? ?